We have a fantastic selection of property for rent across Greater Manchester and Cheshire. Looking for houses for rent? We have a wide range available from modern town houses to period terraces and suburban family homes. If you are looking for flats to rent? We have something for everyone from studio apartments to penthouse pads, modern new developments to period conversions. Our friendly and professional Rentals Team have a wealth of experience and are on hand to offer honest advice on every aspect. Arranging viewings couldn’t be easier. Simply add the property you have seen for rent to your viewings list on our website and request viewings online, or call into one of our conveniently located branches for face-to-face help. Our website is updated throughout the day and in real time, so as soon as we are instructed on a property for rent, it will go live. You can also register for updates on our website and in branches to receive details of new instructions. If you are new to the area, or want more advice on where to rent in Manchester, our online ‘Area Guides’ give a useful snapshot of the many great places to live in Manchester. Get social: You can also subscribe the members area on our website, to keep you updated as homes become available, as well as share property details that catch your eye via facebook and twitter. What happens when you have found your perfect property for rent? Please be aware that unfortunately we do not have the facilities to accept payments in cash. To ensure the security of any personal information you need to send to homes4u, we have our own file sharing facility called Own Cloud. This works in a similar way to Dropbox or One Drive. Our tenancy team will advise you how to access it to submit your personal information. Complete a Tenancy application formClick to download our Application form. Provide proof of ID (copy of your passport or driving licence). Provide proof of your Student status (student tenants only). 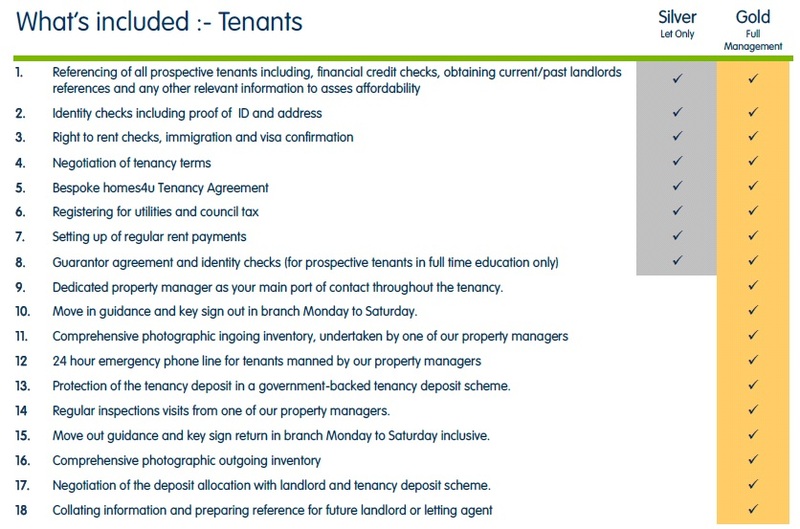 Non-student tenants: will need to undergo credit referencing and provide proof that you are in employment, and of your position, hours, contract and wages. Sign two copies of the Tenancy Agreement. Student Tenants: If the property which you are renting is let only and retainers are applicable you will be required to provide proof you have set these payments up. Working Tenants: If you fail a credit check (or know that you are likely to), you may be able to still secure a property by providing an acceptable Guarantor. Fees will not be refunded where referencing is not satisfactory. Please note that all monies must be cleared funds prior to keys being released. Homes4U have partnered up with Huddle to offer one of the cheapest bills inclusive packages in Manchester. Huddle can supply all of our properties with Gas, Electricity, Water, TV Licence and Wi-Fi at extremely competitive rates. Each tenant is only responsible for their share of the bills, and Huddle can provide you with smart meters to monitor your usage at no extra cost. Sign up today at www.huddle.uk.com or pop into our office to find out more." The Department for Communities and Local Government have produced a guide is for tenants and landlords in the private rented sector to help them understand their rights and responsibilities. It provides a checklist and more detailed information on each stage of the process. Rent is usually paid the same day each month for the whole calendar month. With student housing it’s quite common to advertise houses as per person per week (pppw), it’s really per room. So if you want to know the price of the whole house, it’s the pppw figure, multiplied by number of bedrooms, multiplied by 52 (weeks in the year), divided by 12 (months in the year). Utilities (Gas/Electric/Water) are not usually included in the rent, unless specifically advertised as such. You will also be responsible for Council Tax (students can get an exemption certificate), as well as insuring your own possessions (Contents Insurance). When you are viewing a property, it’s worth noting anything you’re not sure or happy about. Often we can negotiate a solution with the owner. Works aren’t guaranteed unless formally agree with the owner. All of the jargon can get a little confusing. We use plain English agreements and there is a handy glossary on our website with some of the common phrases in our rentals section.